Your College, Your Success. 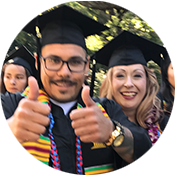 Whether you are completing the lower division requirements of a university degree, or getting the skills you need for a great career, Gavilan College is a great place to start. From application to graduation to transcripts, the Office of Admissions and Records is here every step of your journey. Yes, you can afford to go to college! 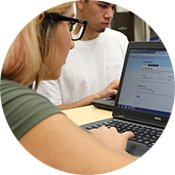 The Gavilan College Financial Aid & Scholarships department is here to help you find ways to pay for college tuition and related expenses. Whether for your research paper or your interests, current and reliable materials, in print and online are available from the library. Create, study, work together and more at your Library. Gavilan College is one of California’s 114 community colleges, serving an area from South San Jose through most of San Benito County. The main campus is located in Gilroy. Additional instructional sites are located in Coyote Valley, Morgan Hill, San Martin, and Hollister.